Yorkshire Cleaning Fabrics Limited (YCF) was started in 1972 by two brothers who saw a gap in the market for knitting stockinette and dishcloths for industry and the motor trade. More than 35 years later, YCF is proud to have maintained its manufacturing base where it started and now has a wide range of janitorial textile, mopping and industrial wiping products made in the UK and imported from their manufacturing partners. The customer base spans throughout the UK and worldwide, as far as Canada and The United Arab Emirates. YCF remains a family run company committed to giving its customers the best possible service; manufacturing and supplying quality products that are well suited to the customers’ requirements at competitive prices. 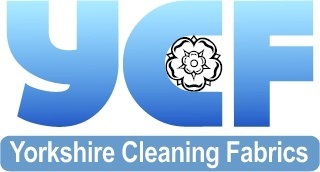 YCF is proud to be associated with The Cleaning & Hygiene Suppliers Association. 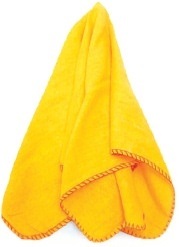 Stockinette or mutton cloth remains one of YCF’s core manufactured products and as such is an integral part of its product range which includes dishcloths, microfibres, dusters, mops, tea towels, scourers and sponges, buckets, window scrim and many other wiping products.